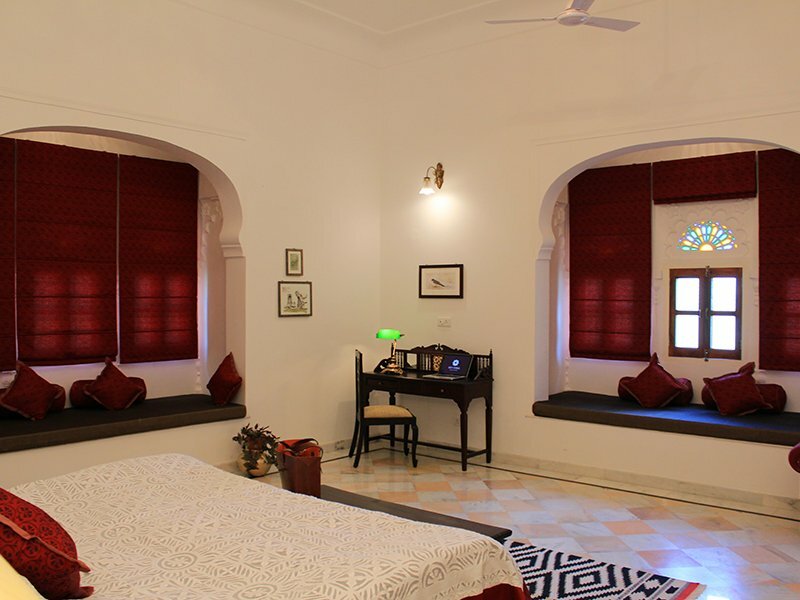 Dev Shree is a gorgeous new property located in the midst of rural Rajasthan. With just seven tastefully decorated rooms, this intimate homestay would be a charming addition to any tour of the region. Surrounded by the Aravali mountain range, you’d be forgiven for thinking Dev Shree is in the middle of nowhere, though it’s actually perfectly positioned in the middle of everywhere! 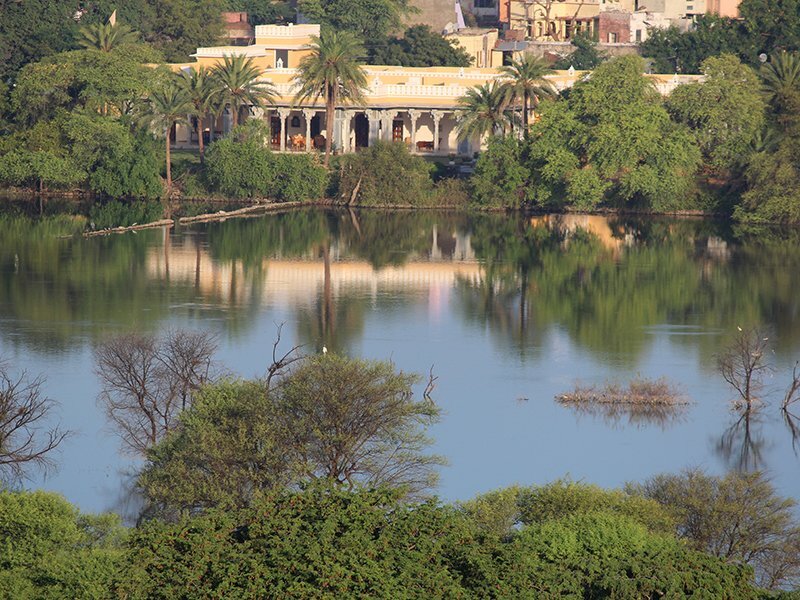 Dev Shree is just a two hour drive from Udaipur, three from Jodhpur and four from Jaipur, though is far enough away to steer off the beaten track and experience the peace and natural beauty of rural Rajasthan. It’s an ideal spot to relax and recharge your batteries mid-tour. 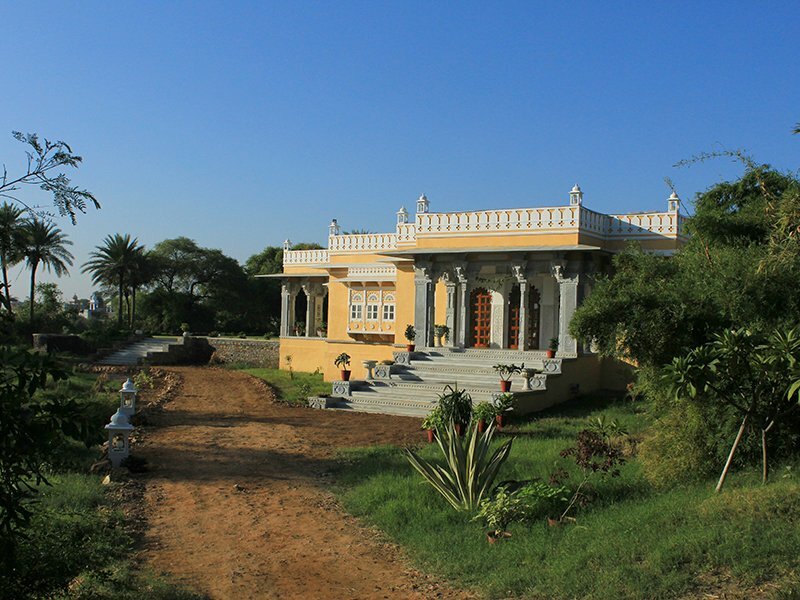 The home is nestled in an idyllic position – surrounded by greenery, looking out over a vast lawn to Ragho Sagar Lake, with a majestic backdrop of Gokul Fort perched high on a hill. This peaceful spot attracts a colourful array of migratory birds who’re very welcome visitors of the hosts – Shatrunjai and Bhavna are avid bird watchers. The interiors of Dev Shree are just as pretty and inviting. 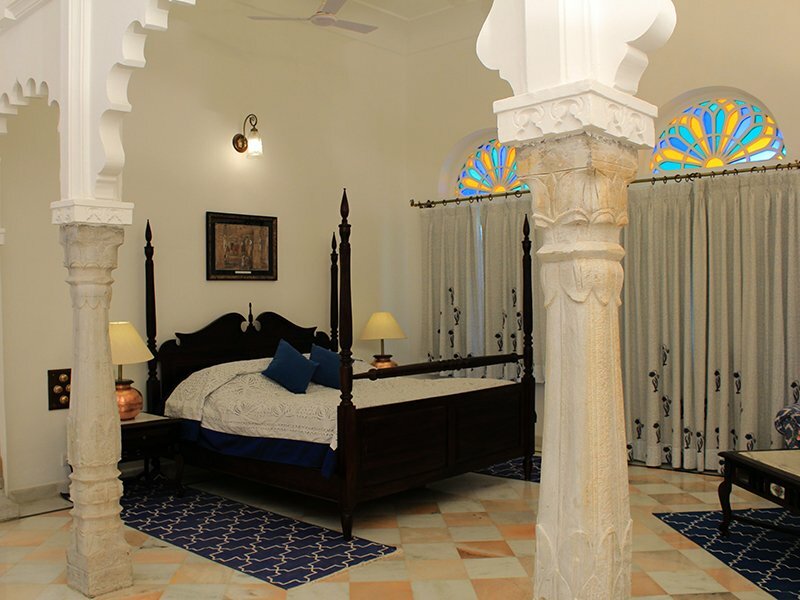 The charming rooms have been constructed to reflect the traditional haveli style, with airy verandahs and bursts of bright colour. 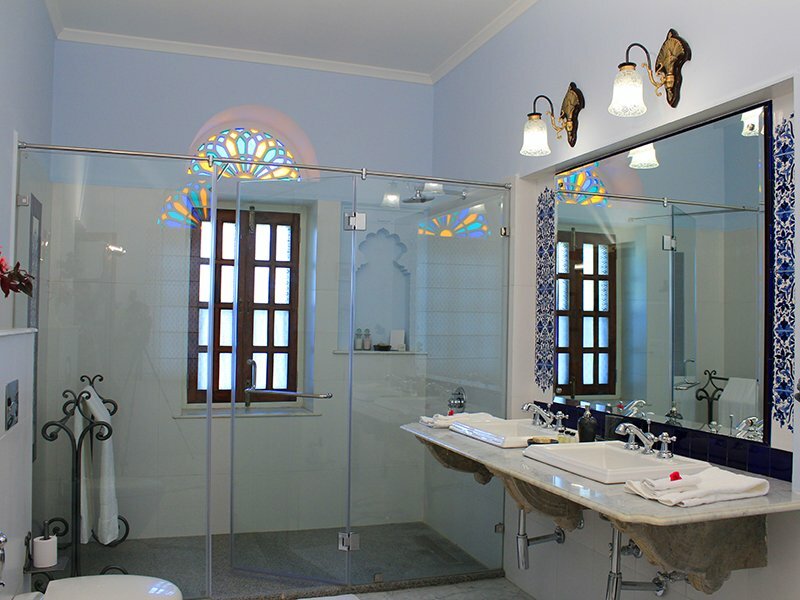 Each of the seven rooms are tiled with Makrana marble and offer a view of the gardens. All meals are included during a stay at Dev Shree – Shatrunjai and Bhavna want you to feel at home. Bhavna sources organic vegetables from her on-site garden to include in her dishes, offering local specialities and north Indian favourites alongside more familiar European options. Rooms at Dev Shree start from ₹20,000 per night, inclusive of all meals and taxes. 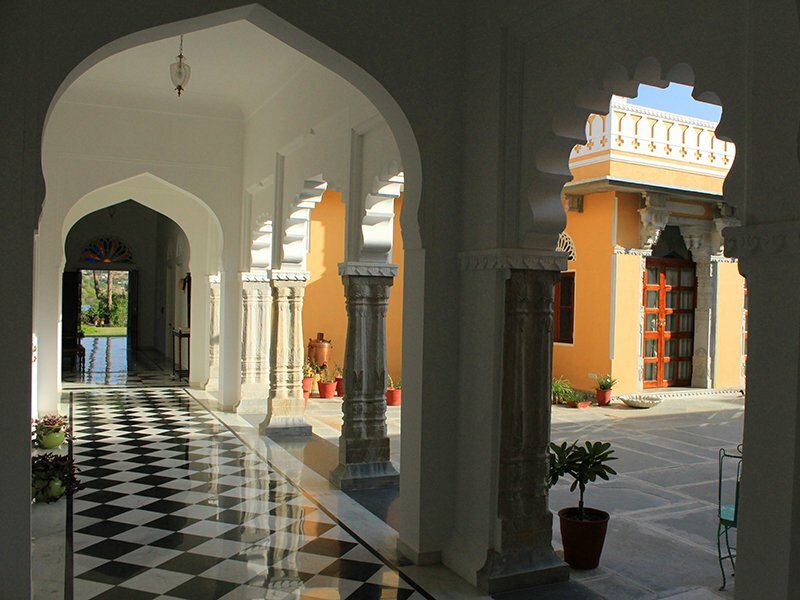 If you’d like to include a stay at Dev Shree on your upcoming trip to Rajasthan, please do get in touch – we’d be delighted to assist with the planning of your tour.